Home Control is where technology and convenience converge, allowing the electronic devices in your home to communicate with one another. Home automation integrates the devices that you use every day—lights, TVs, audio equipment, security panel, thermostat, and so on—so they can communicate with each other. When it’s done right, home automation gives you the power to control all these devices from one convenient location. Our Home Control Solutions make it possible for virtually everything in your home to work together—from TVs to receivers, disc changers, stereos, media players, amps, speakers, even garage doors, pools and sprinkler systems — all via one easy-to use interface. 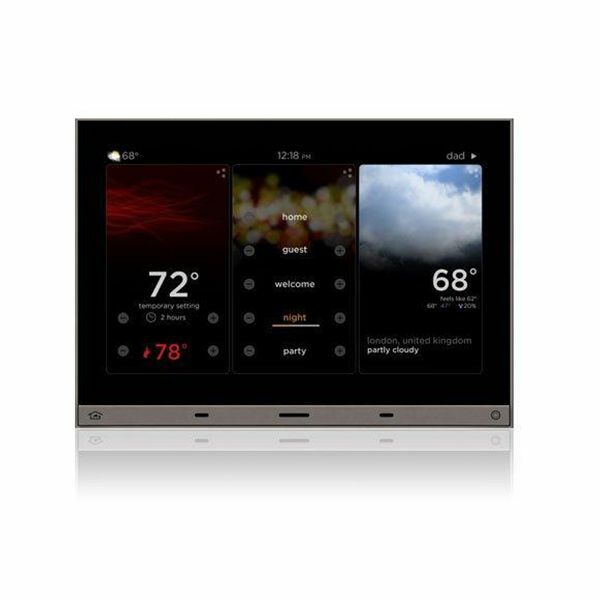 This is intelligent home control. Picture this. Your family sits down to enjoy a movie, but if you’re like most people, it takes at least three or four remotes to actually get to that point. Then after the movie finally begins, you have to get up and turn off or dim the lights. With Home Control Systems, you only need one remote to do it all. With a simple press of a button, all of the devices involved (TV or projector, Blu-ray player, media player, receiver and/or lights) will all set themselves to the correct inputs and your lights will automatically dim to the desired level. Home control possibilities are limited only by your imagination.